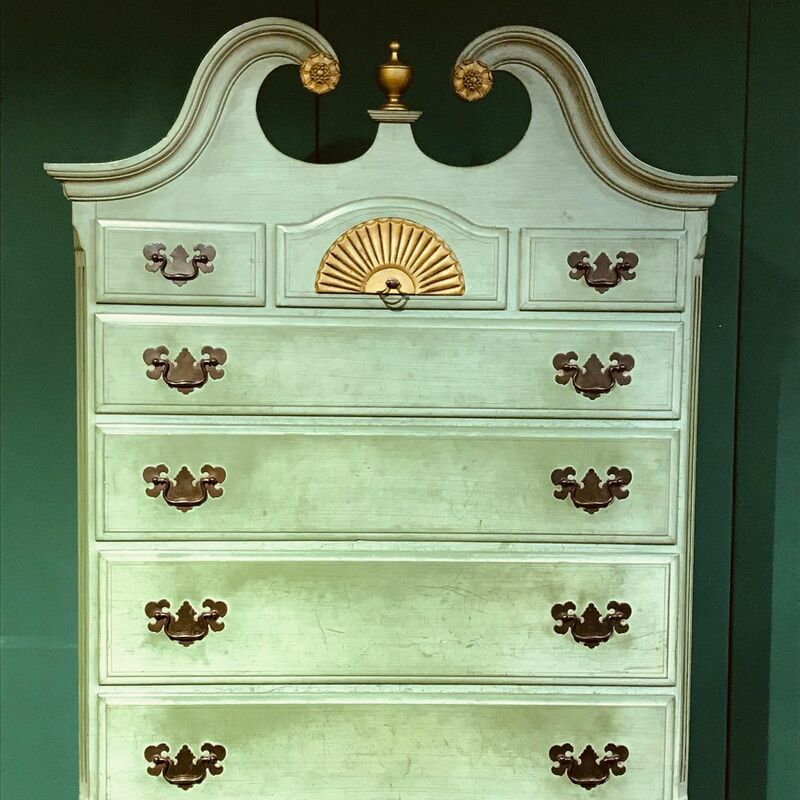 A good quality 20th Century high Chest Of Drawers, highly decorative with finial top and with cabriole legs. 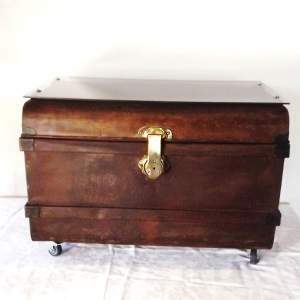 American Federal style High Chest. 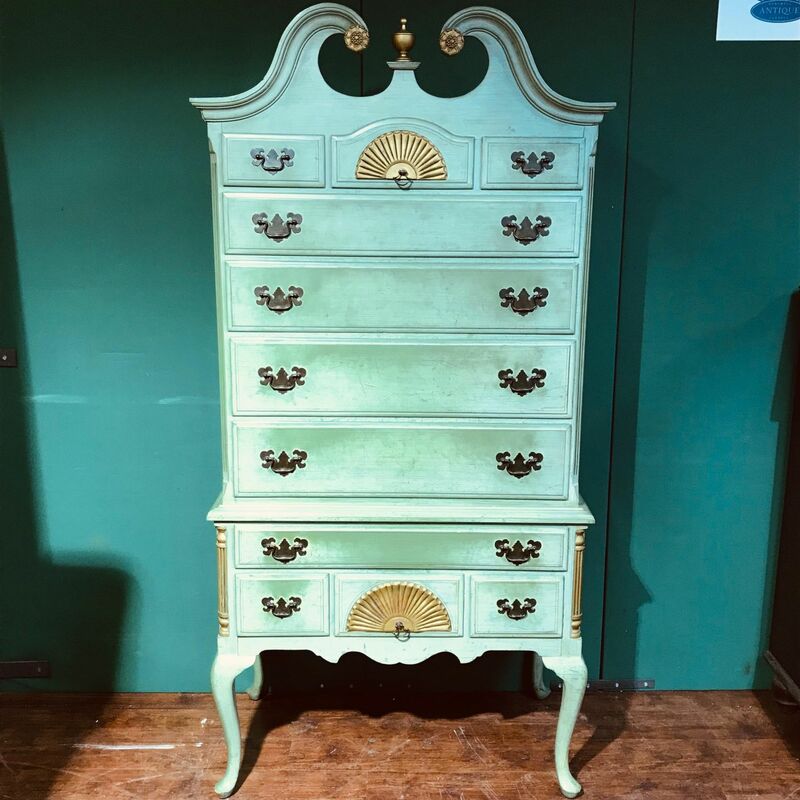 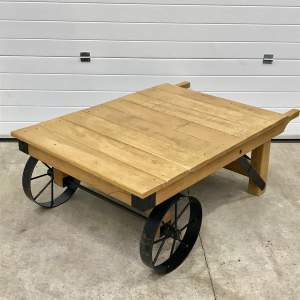 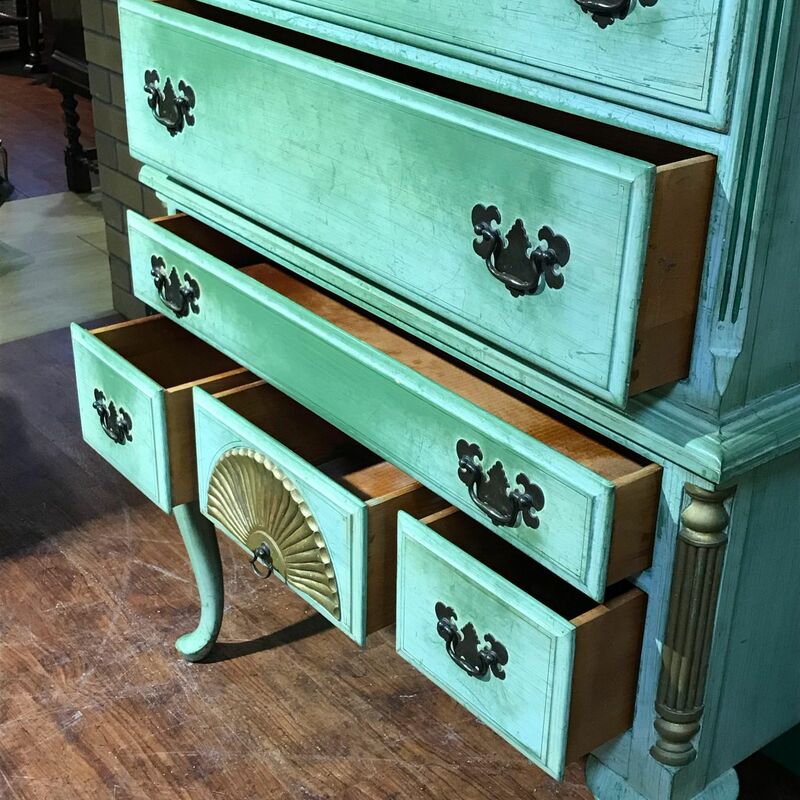 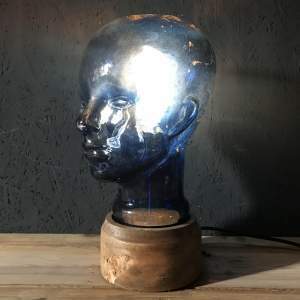 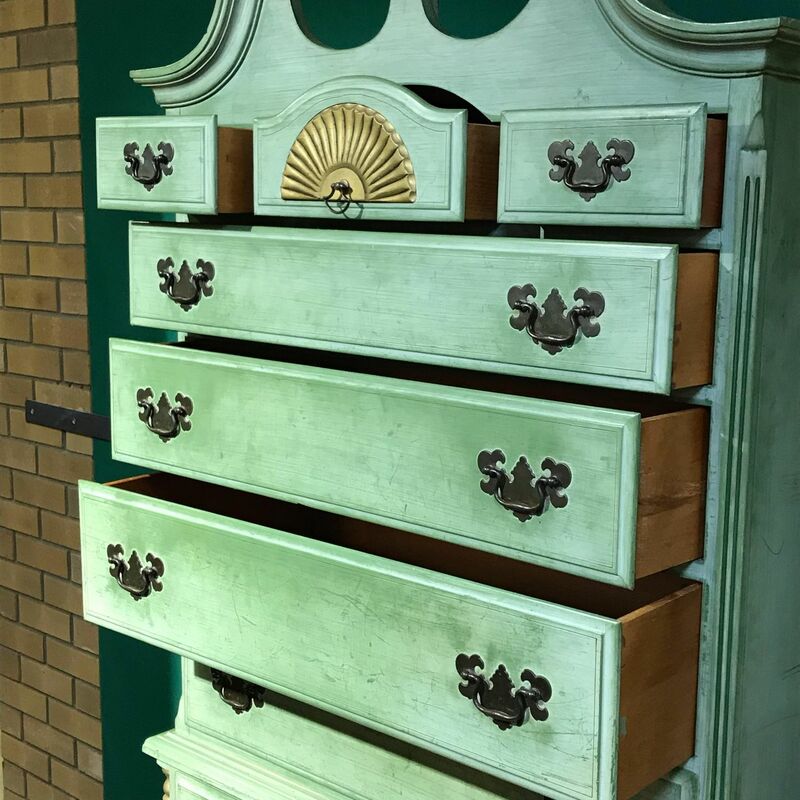 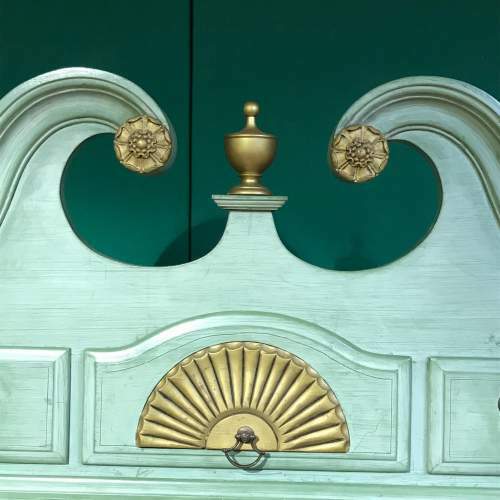 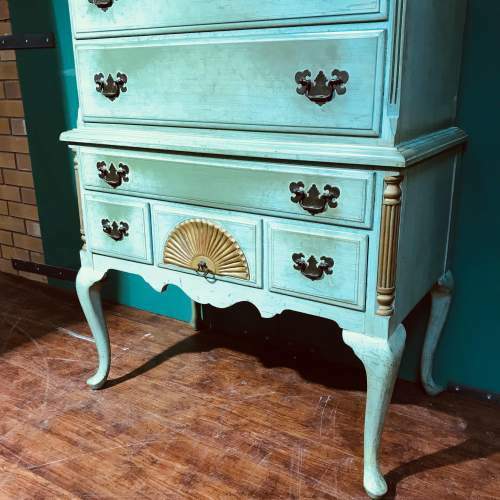 Upcycled and painted with a worn look green paint and with gilt coloured detailing.